They want a sweet smell from a rose and humaneness from a human. In the parks and gardens near my New York City apartment, spring unrolls its flowered skirt in a predictable sequence: first the crocuses, followed by the daffodils, tulips, lilacs, and peonies. 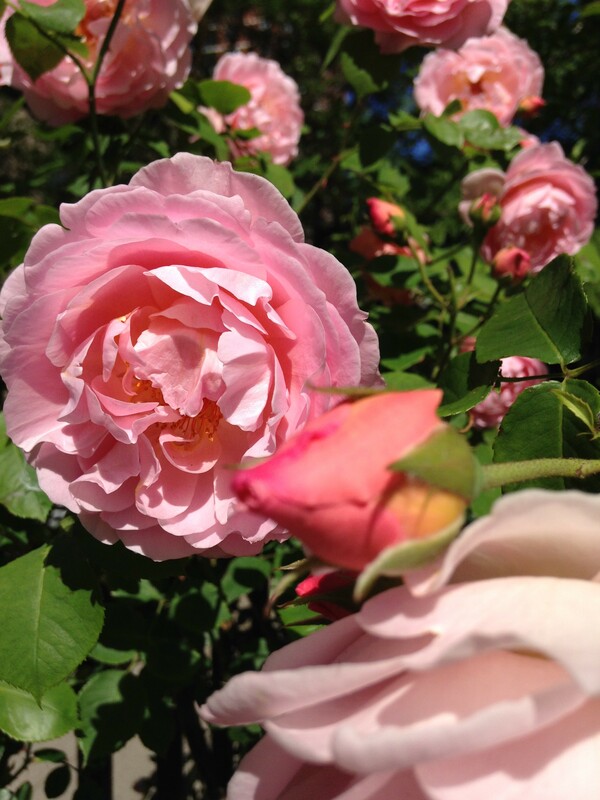 When June arrives the scent of roses reminds me of my childhood in our backyard garden. We had rose bushes and trellised roses that ranged in color from pale pink to crimson. When I was in grade school I would cut a half-dozen red roses from the bush, pry off the thorns, wrap the stems in a damp paper towel, and then wrap that in tin foil. I brought this bouquet to school as an end-of-the-year offering for the teacher. Soon it would be summer.